Do People Still Use Trash Compactors? Prior to the Industrial Revolution and into the 19th century there was very little trash in America. People found a way to reuse almost every scrap of waste. That changed when manufacturers began packaging goods to attract consumers. It wasn't long before “taking out the trash” became a chore no one was fond of doing. The invention of the trash compactor was a combination of several machines. One may say M.S. Wells started the trend in 1941 when he invented a machine used to crush oil cans. Two employees of the manufacturer Compackager designed machines more suitable for home and office use. 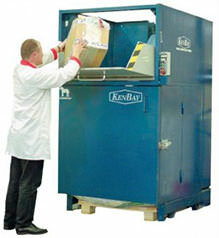 Commercial trash compactors became an instant hit after their introduction. They are still frequently used by restaurants, hotels, medical facilities and other businesses that produce large amounts of waste. As with many appliances, the first compactors introduced for home use were considered a novelty. They were expensive and mostly available to the rich. They were bulky, noisy and smelly. Not great selling points. Today, compactors are smaller, create less noise and have filters to reduce unpleasant odors. A user offers a handy hint to place a newspaper over the trash before compacting. This reduces the “yucky factor” and minimizes cleaning after use. Machines are available as free standing or built in units. Compactors are easy to use and do not require any special installation. Simply plug it in and you are ready to compact. Safety features prevent accidental injuries. A modern machine is capable of reducing up to six traditional kitchen garbage bags into one 30 pound bag. It is important to note that compactors do not replace garbage disposals and should not be used for organic materials. Some environmentalists claim that compactors are not green. However, many proponents also use compactors for recyclable waste. Some may argue this could encourage increased recycling. It is estimated that if every American family used a compactor landfill space could be reduced as much as 80 percent. Trash compactors continue to be a popular kitchen appliance and readily available in most home improvement stores. Research is essential prior to purchase to determine which machine best meets your aesthetic and physical needs. It is the job of a real estate appraiser to appraise the value of your home. Every feature and aspect of your home plays a part in its value. However, the value is different than the price. A real estate appraiser will find out what the market value of your home is. The market value isn't a set price, but it typically gives you a good range of what price your home can sell for. So how exactly does a real estate appraiser understand and compute the value of your home? 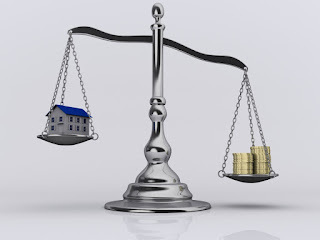 There are many different methods for home valuation. Here are the three most common methods to appraise your home’s value. The sales comparison approach: This is when the appraiser will compare your property’s characteristics with those of comparable properties that have recently sold and set the value accordingly. So this is essentially a market set value. The cost approach: When the buyer will not pay more for your property than it would cost to build an equivalent is called the cost approach. The buyer sets the value for this approach. This means that if a buyer were to build a similar or comparable building from scratch, whatever that cost equates to, is all the buyer will pay for the property. The income approach: The fundamental math behind this approach is similar to the methods used for financial valuation, securities analysis or bond pricing. This is another market set value. These are the three main methods of real estate appraisal, and depending on the type of real estate involved will determine which method is best for your home. If you are looking to sell your home and need a real estate appraiser then you should check out Midwest Appraisal Management. They are a leading real estate appraisal management company that specializes in providing custom real estate appraisal services all throughout the Midwest region of the United States. Real estate appraisal is a standard procedure and should be done accurately to get the fair market value of your home. To learn more about real estate appraisal click here. With new buildings emerging every day, the construction industry is expanding at an unprecedented pace. As an electrical engineer or contractor, the old way of doing business, which was typically manual cannot hold because it only leads to ineffectiveness and inefficiency. 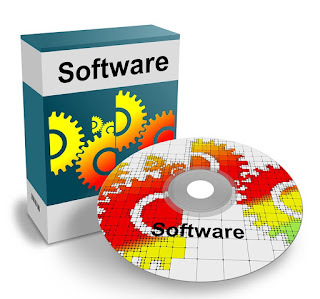 You can change this inefficiency and wastefulness through choosing from these broad ranges of software that are specifically made for electricians. This productivity app helps electricians in organizing diagrams and handwritten notes on the iPad. You will be able to keep track of your documentation and make your work easier when it comes to generating quotes for projects. The NL5 Circuit Simulator is considered as an ideal tool for simulation. The app will help you to perform instantaneous switching of the ideal diodes and switches. It uses the piece-wise linear representation and it helps in the fast resolution of complex non-linear equations at every stage of the simulation. The app has a user-friendly and intuitive interface that will help you in the quick modification of the schematic. This is a versatile and easy to use productivity app that can be installed in iOS devices, Windows phones, Mac OS X and Android phones. The app works on both analogue and digital circuits and will not require you to stop to make measurements or configure reports. It uses multimeters for proving circuits and instantly generating voltage and current readings. JobFLEX is an electrical estimating software that does not require an Internet connection. With the use of an Android device, you will be able to generate estimates from an electrical quote template for wiring, distribution boxes, breakers, fuses, coupling, timers, controls, lighting, and transformers. The Electricians Bible is an invaluable app, especially when you are out there in the field and you need to undertake some certification processes. Its key features include the box fill, voltage drop, and the transformers. Its other salient features are the electric schematics, raceway calculations, and pipe end. The E3.Series is an electric wiring and control system software. The software is helpful for designing and documenting cable assemblies and wire harnesses. It will also help you design and document panel layouts and control systems, and in generating the fluid designs of pneumatic and hydraulic systems. This broad range of software address a diversity of challenges that you encounter in your electrical job. The apps will save you tons of resources in terms of money and time and will help you remain competitive in an industry that is ever expanding. The vacation rental should have great reviews from previous tenants with their overall experience of staying at the location. The location of the rental should be ideal for your preferences if you want to be in close proximity to shopping centers, restaurants, or a nearby lake. 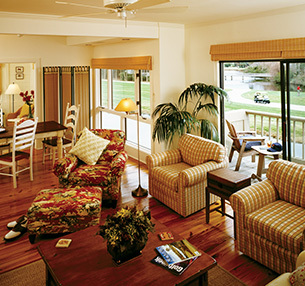 The ad for the vacation rental should have high-quality content and photos, which is an indicator that the property is maintained well and is likely managed by a reputable company. Many travelers are often scammed with vacation rentals by using bad websites to search for a property. Stick to using well-known websites that have good reviews and research county record offices to determine if it's actually a vacation rental that is available. Many people travel without bringing their car along, making it important to determine if public transportation is within walking distance near the vacation rental that you want to book. When conducting a search online for a vacation rental, search by using specific dates to determine what properties are available. This will narrow down the results and make it easier to choose from different listings or even adjust your dates to find a better place to stay. Read online reviews of the local area or neighborhood where you're planning on booking a vacation rental to determine if it's safe. Research the crime rates and if a security alarm or a gate is available on the rental property. Look into hidden fees that come with rental properties, which can include the cost of cleaning services, insurance, or booking fees. Each vacation rental includes different amenities, which can include free wifi service, washers or dryers that are available, or an on-site Jacuzzi that can be used. Look into the amenities to determine if they're specific to your needs and preferences. Many people make the mistake of booking a cabin or a condo only to find that it has terrible views of the surrounding area. Don't be afraid to ask for photos of the views to ensure that you can enjoy the location. This post was contributed by Jersey Cape Realty, offering vacation rentals and real estate on Cape May, NJ. When it comes to building wealth and ensuring your future financial security, there are some investments that are almost always in your best interest. Owning a vacation home and renting it out can be a cornerstone of your financial plan. Consider the following factors to see how a second property can help you meet your financial goals. If the mortgage payment, taxes, utilities and cleaning costs add up to a thousand dollars a month, rent your property for $1500 and watch it pay for itself. Once the mortgage is paid off, the rental fees can be socked away for another property, other investments or your retirement fund. It's never a good idea to put all your financial eggs in one basket. Many people invest heavily in their primary residence and then panic if its value dips. By owning two properties, you can feel more confident that one of them is bound to rise in value or retain its value. 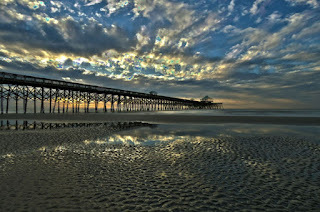 This is especially true if your vacation home is in a valuable location, such as a lake lot or beach front. When you rent a vacation home, you're paying someone else's mortgage or padding their retirement fund. By owning your own vacation home, you can 'pay' that rental fee into your own assets while still enjoying a beautiful, and familiar, vacationing spot. You can enjoy your vacation knowing that you're not losing ground on your long-term financial goals. If your primary residence caught fire tomorrow, where would you house your family while you wait for an insurance payout? If a loved one needed a place to stay but your house is full, how would you help them? A second property can serve as a backup shelter in cases of emergency, especially if your vacation home isn't too far from your primary house. When the alternative is a pricey hotel or imposing on friends and family, you'll be glad you have a second home. While primary residences can sit on the market for months or years, vacation houses can usually be sold quickly if a huge financial need arises. Whether it's an enormous medical bill or your child's college scholarship falls through, having a liquid asset you can sell if you had to can bring you a lot of peace of mind. Owning a vacation home and renting it out is an excellent plan for your future. Not only can it pay for itself, there are many other perks to owning a second property. About the Author: Brian is guest contributor from Seaside Vacations, vacation rental company that features quality North Myrtle Beach vacation rentals.